Street in the Woodland Heights, Houston. 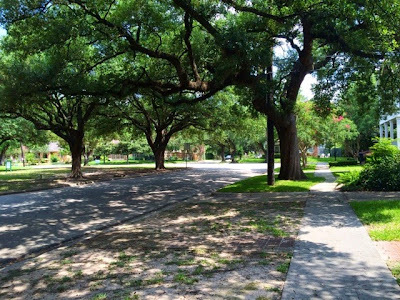 It's summer in Houston and as the temperature reaches a toasty 84 degrees by 9:00am, walking my dog with a three month old baby in tow has become a race against the sun. Fortunately my neighborhood in The Heights gives me many opportunities for a shady stroll. 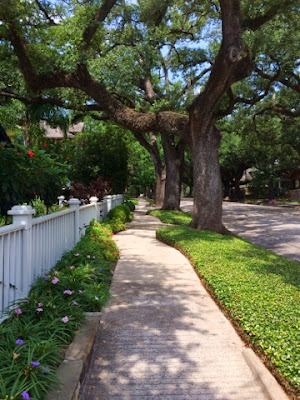 The Esplanade. 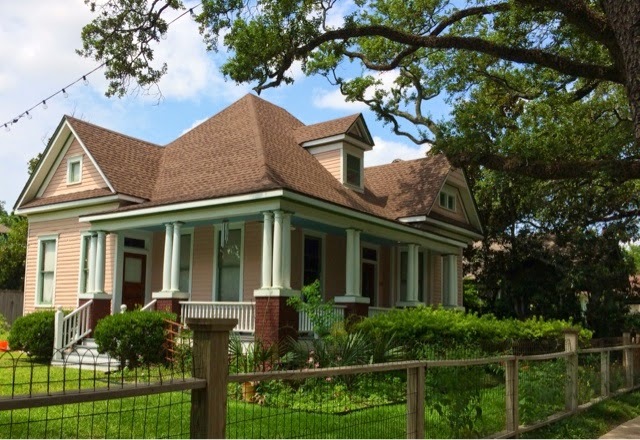 Woodland Heights, Houston. At the moment, my favorite pocket of the Heights is the "Woodland Heights". 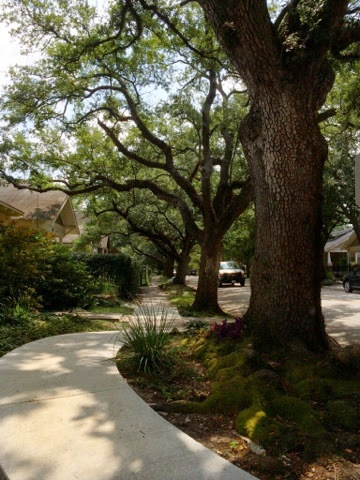 Older and with bigger houses than my own Norhill Heights, the Woodland Heights offers the shade of centenary Oaks and architectural variety. 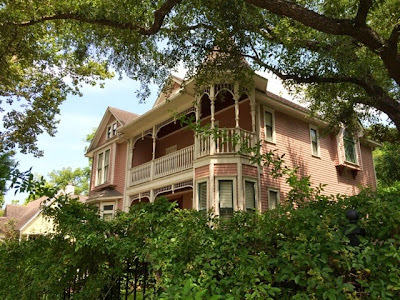 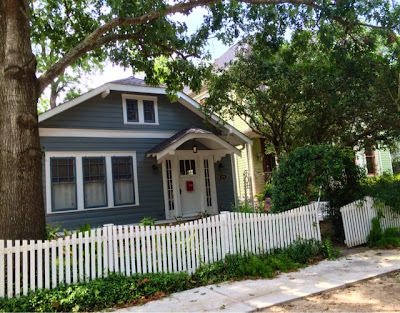 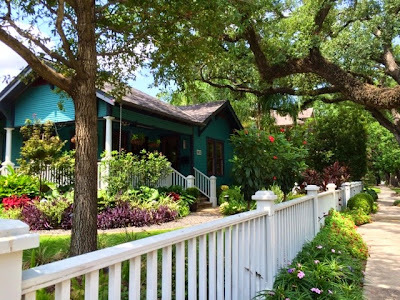 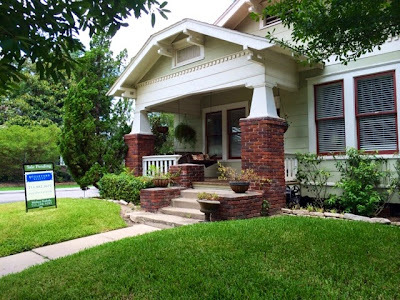 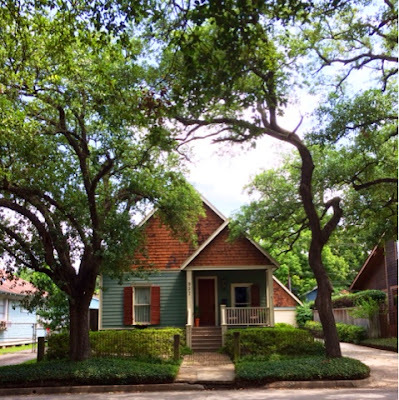 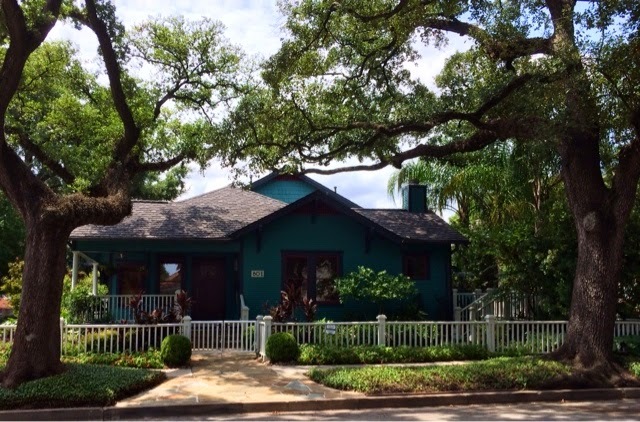 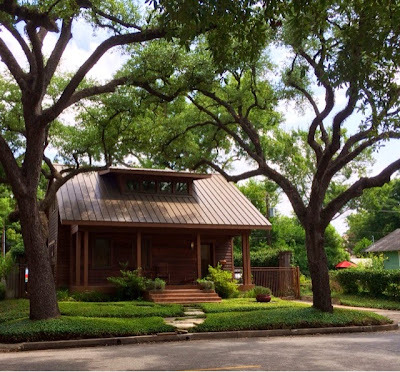 The branches of the oaks form an almost continuous canopy above our heads, and as we walk under its shade we encounter not only the Craftsman Bungalows that our neighborhood is famous for, but also Victorian grand ladies and gingerbread houses.